You may want to consider some Polti Steam Cleaners if you are looking for a different type of steam cleaning machine. Polti has a fairly young history compared to some other well-known brand names, but has developed a very good reputation for itself since its inception in 1978. 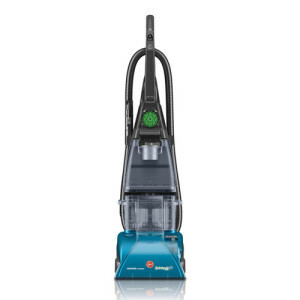 With 120 to 130 degree steam, Polti Steam Cleaners offer an ecologically safe and easy way to get everything cleaner. Their products are mainly sold on the European continent, but they are becoming better known on the global market. Below we review three of the most popular Polti Steam Cleaners: the Polti 950, the Polti 950 PTGB0026, and the Polti Vaporetto. 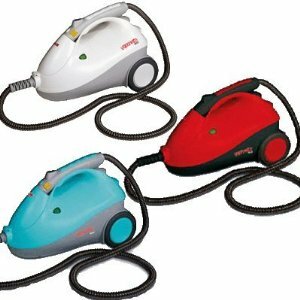 The Polti 950 Vaporetto is one of the most affordable Polti Portable Steam Cleaners. 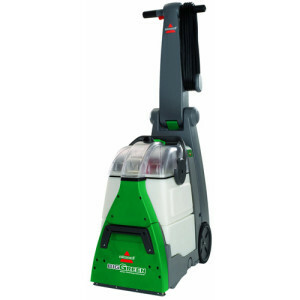 It is a lightweight and portable steam cleaner, making it a handy size that is easy to carry or it can be dragged around. 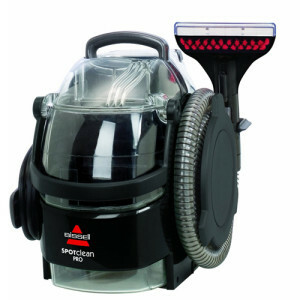 While some users think it is a little expensive, it is comparable to other products in this type of steamer. It is easy to use as a clothes steamer, drapery steamer, or it can be used for cleaning mattresses or bedding. 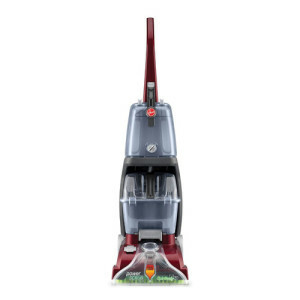 It comes with two brushes for spot cleaning carpets and upholstery. The main disadvantage mentioned was that it is a 2000 watt machine, meaning it uses quite a bit of electricity. However for the steam power it is a necessity. You can find them in a white, red, and turquoise colors. 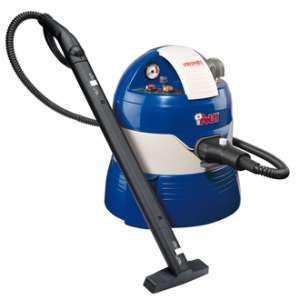 As part of the 950 PTGB0020 product line, the PTGB0026 has the ability to adjust steam and vacuum levels to different types of surfaces, in addition to offering different types of heads and tools for cleaning them. Whether you want to consider it a steam cleaner or a water-based vacuum cleaner, you can clean kitchen tiles, counter-tops, showers, and carpet. 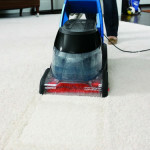 It is considered a versatile and effective cleaning tool with an inexpensive price. The main disadvantages seem to be the need for a longer hose and a bigger tank capacity. 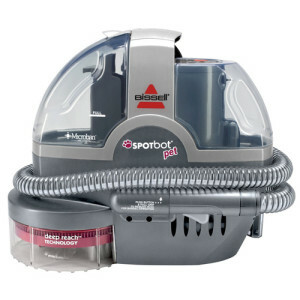 While you could use a storage bag for the accessories, the 950 PTGB0026 is an affordable model of the general and multi-purpose Polti Steam Cleaner. 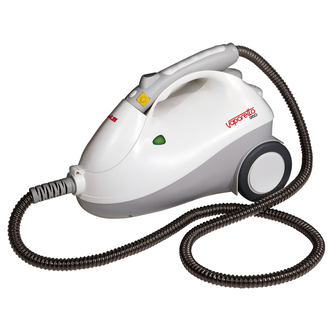 The Vaporetto 3000 Eco Pro Lux is one of the most versatile Polti Portable Steam Cleaners. With 130 degrees of steam power to eliminate germs, it not only cleans carpet, but there are users that defrost freezers, clean out the refrigerator, microwave, oven and it works great on tiles, cabinet doors or counter-tops. The versatility and super powerful steam cleaning capabilities are part of the reason that users seem to love this machine. It is also fairly affordable and in line with competitor brands. Users love the unmatched steam-cleaning capabilities and the assortment of attachments for all kinds of cleaning projects. The main disadvantages mentioned are that the machine is a bit bulky, demanding its own storage space and the castors aren’t always willing to go the direction you want them to. The cord could be a little longer, and you need to wait for the pressure to drop and the cap to cool in order to refill it. Overall, users think that this Polti Steam Cleaner model is the best deep-cleaning steam cleaners you can use for every surface in your home.